When Ford decided to kill its hybrid variant of the 2012 Ford Escape, there was much gnashing of teeth and wailing here at GreenCarReports. Giving an impressive 34 mpg city and 31 mpg highway, the first -- and maybe best -- hybrid crossover from Ford set a tough act to follow. 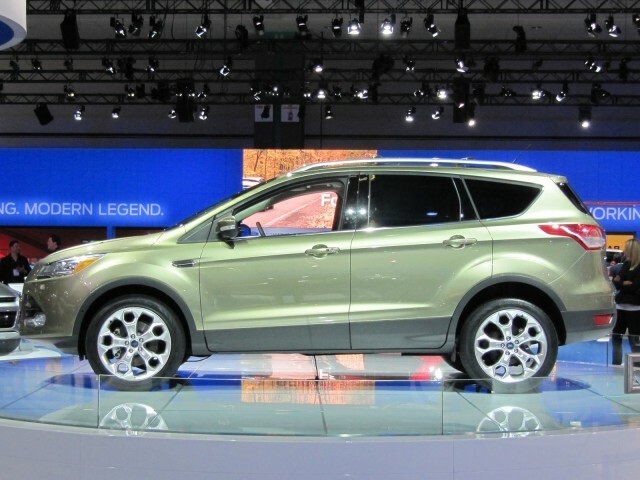 But now we know: Ford’s new 2013 non-hybrid Escape can live up to its predecessor’s reputation. At least, the 1.6-liter EcoBoost variant can. 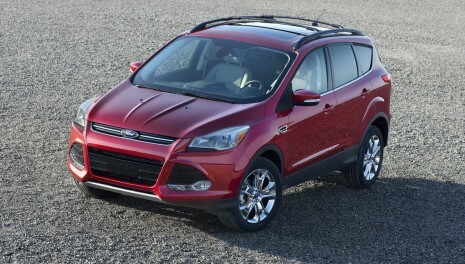 On Friday, Ford released official EPA-approved gas mileage figures for its 2013 Escape. The verdict? If you go for its 1.6-liter FWD EcoBoost Escape, your gas mileage won’t be far off that of its hybrid predecessor. At 23 mpg in the city and 33 mpg on the highway, the 1.6-liter EcoBoost Escape betters its predecessor on the highway, but loses out badly in the city thanks to a lack of electric assistance. Combined, its gas mileage is a little worse than its predecessor. 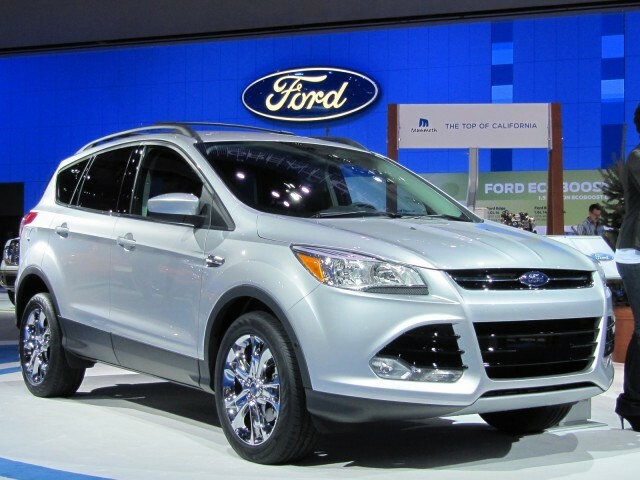 Standard on the 2013 Ford Escape SE and SEL models, the 1.6-liter EcoBoost engine helps the Ford Escape to obtain a best-in-class on gas mileage. Slightly larger, a 2.0-liter EcoBoost option in both AWD and FWD replaces the previous V-6 Escape engine, and is rated to town 3,500 pounds. At 22 mpg city and 30 mpg highway, the FWD version is slightly more efficient than its AWD 21 mpg city, 28 mpg highway sibling. At the top of the power range, and limited in gas mileage, is a standard 2.5-liter, four-cylinder engine fitted to the 2013 Ford Escape AWD S.
Offering 22 mpg city and 31 mpg highway, it lacks the towing grunt of the 2.0-liter EcoBoost, but manages a few mpg over the engine it replaces. While Ford hasn’t set any prices for its 2013 Escape range yet, we’d expect the 1.6-liter EcoBoost to cost substantially less than the 2.5-liter hybrid it replaces. Meanwhile, there is a least a sliver of hope we’ll see a future model sport a diesel engine, courtesy of the Escape’s European sibling -- the 2013 Kuga. Offered in Europe where diesels account for more than 50 percent of car sales, the diesel engines are unlikely to make it to the U.S. until attitudes towards oil-burning engines change dramatically.